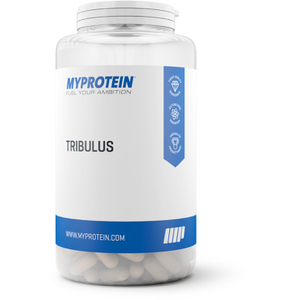 If you’ve been scrolling through the Myprotein supplements section then you may have come across a product in pill form called Tribulus. You most likely didn’t know what this product was, so chances are you just skipped right on past it and kept looking for the products you’re familiar with such as Creatine, BCAAs and protein powders. So, what exactly is Tribulus and will it help you with your performance? Tribulus is formally known as Tribulus Terrestris and is derived from a fruit bearing plant. It’s one of the many plants which are harvested and used for supplement or medical purposes. 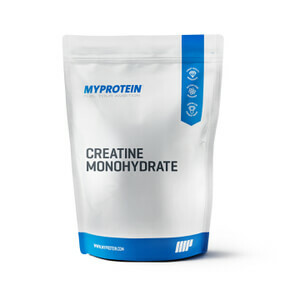 This product is filled with chemicals that have shown to increase some levels of hormones in animals, however, the chances of it increasing testosterone levels within the human body are pretty slim and whatever testosterone is does increase will be minimal. 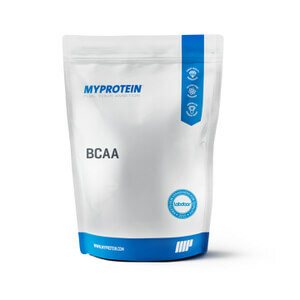 However, it is still taken by athletes and bodybuilders. Tribulus is an oral product consumed by mouth to give a possible edge or advantage to the athlete to help with performance by increasing blood flow and circulation within the body. Tribulus has also been shown to help slightly increase libido within the body. With an increase in libido you will see an increase in endurance, slight increase in physical strength and muscle mass density will increase minimally. Tribulus also helps regulate the production of testosterone within the body. As far as non-weight lifting or exercising related benefits, tribulus will also help with the normal functioning of the nervous system, helping it to remain stable and balanced while also increasing the duration of REM sleep at night to help with the issues of insomnia that some people may suffer from. While you sleep, not only will you remain asleep for longer, but tribulus will also help with recovery of the body during this period of sleep so you will wake up less sore and tired compared to normal. When it comes to the organs or the inside of the body, Tribulus helps strengthen the immune system while also helping to protect the liver, kidneys, prostate and urinary system. Also its shown to help convert fatty tissue into more accessible a usable energy, its effects on fat loss are still unknown at this point and should not be taken on the hopes of losing weight from this supplement. The dosage of tribulus to be effective is around 600-1200 mg a day taken as desired. Since it’s not a stimulant like many other products, it will not have an effect on levels of sleep or interfere with your sleeping schedule. For side effects of this plant based supplement, if taken within the recommend dosage of around 600-1200 mg a day, no issues should arise and any issues that do come about will be extremely rare. However, it’s possible to experience an increase in levels of energy and possibly a slight increase in heart rate for some depending on current body health conditions. For sexual health or men with libido problems, tribulus can be very beneficial for you due to the fact that it will help regulate your testosterone levels. This means that if your current body production of testosterone is too high, the body will slightly begin to decrease testosterone production. If your current levels are too low, it will help the body produce more testosterone until you are around normal levels. Tribulus has been known to be referred to as an anabolic plant due to its potential in altering testosterone levels in those who take it. You can take this product alone or combine it with many other products such as Ginseng or Guarana to help increase energy as much as possible while still keeping natural testosterone levels as high and optimal as possible. If you want to see if this product can help with your energy levels increasing or possibly improving sexual health benefits, I recommend to give it a try as the risks involved are minimal and next to none. Consume around 600-1200 mg a day and try to avoid going above 1200 mg since it is considered a stimulus just like caffeine and can lead to increased heart rate. So now you know about Tribulus, why not give it a try and see if it has any positive benefits for you and your training.